It has been 2 years since we had a family vacation. With the Dayton Tire Plant shutting down causing Keith to change jobs, after 26 years, and start over with earning vacation we just had to wait. This year we took a week and drove to the Breckenridge, Colorado area. I found a wonderful condo that we rented for the week that was perfect since it provided the kids with separate beds as well as a full kitchen for all of us and a laundry room nearby. Our first day was mainly driving to Colorado. Here’s our journal of the trip. The plain text is mine, the indented text in quotes is Keith’s journal, Kelsey’s is in quotes and italics. I hope to get comments from Travis added. I thought it might give a better feel of our trip for you to hear the different perspectives. We are on the road for our Colorado vacation. Left this morning about 9:30. Had an uneventful trip for the most part. On I40 west bound near Hinton, OK we had a semi that was all over the road. After a few miles of it we dropped the dime on him. Not sure if the Troopers were able to stop him but I hope they did before he caused a wreck. We’ve got the Merc loaded down pretty well. The trunk is cavernous and easily handled four large back packs, three smaller cases, a mid-sized chest and a 50 quart ice chest. There was still quite a bit of room left over. With four of us in the car and cruising 75 or so we got right at 25 mpg, both via the indicated on the dash and the hand figured method. Got to the Best Western in Pueblo at about 8:00. Check in was fine. Travelocity had us a room but there was some minor confusion. Got it all corrected though. The scenery was a nice transition from semi-desert to the foot hills of the Rockies. Ears were popping a bit. Gave the kids home made beef jerky to chew on to help. The road kill got a lot larger the further up the road we went. 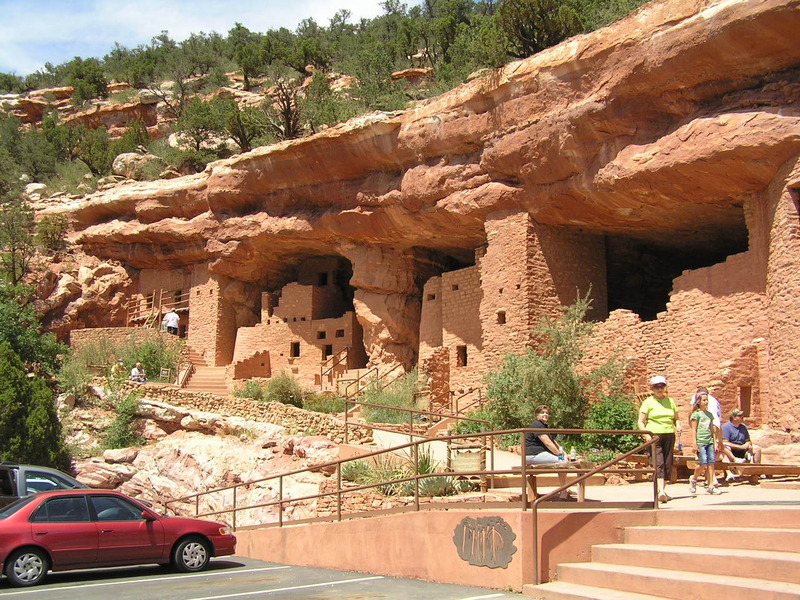 Tomorrow we go to Royal Gorge and then to the Cliff Dwellings. 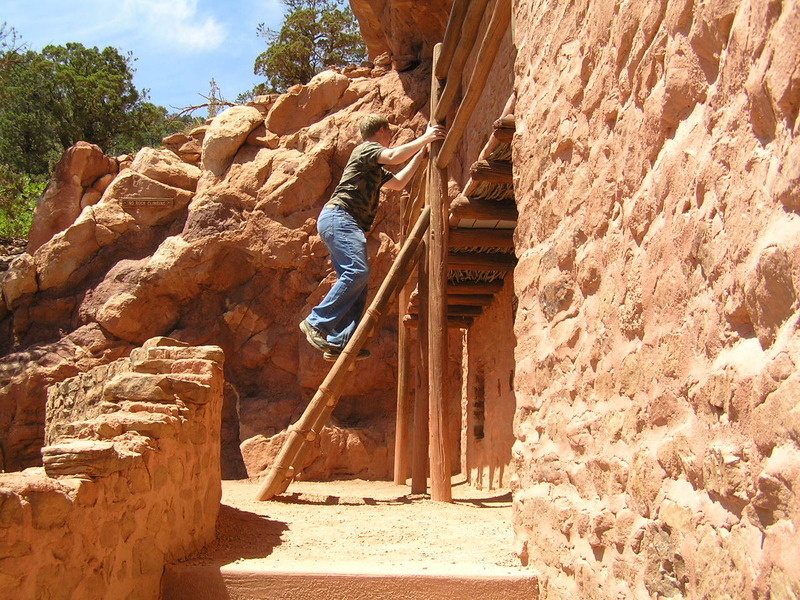 We were going to do Pike’s Peak but wife and daughter do not like heights. Everybody was in good spirits for the trip and there was minimal fussing. 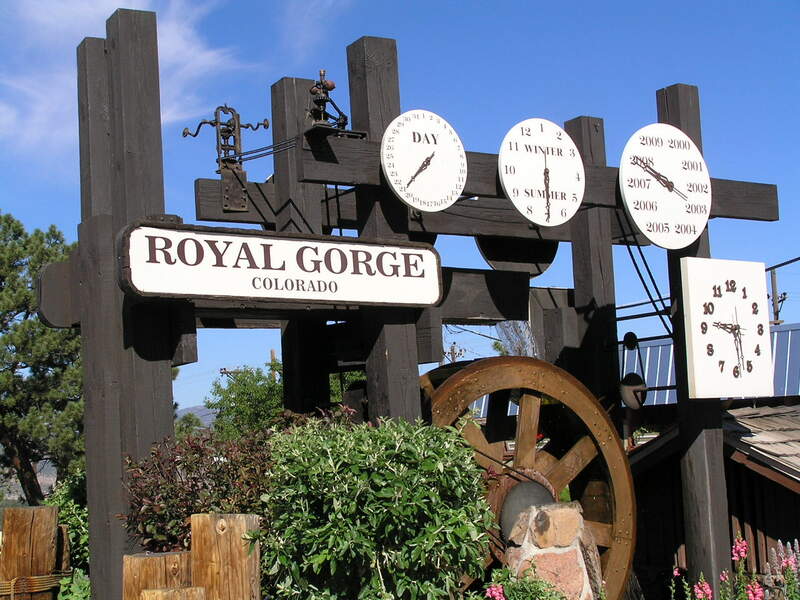 The second day we visited he Royal Gorge. I was amazed that they allow vehicles to drive on that suspension bridge. You can see through many of the planks and the entire bridge shakes as the vehicles drive by! There was no way that I could manage to walk to the middle of the bridge but Keith and the kids did. Keith took several photos showing the view from the middle of the bridge. 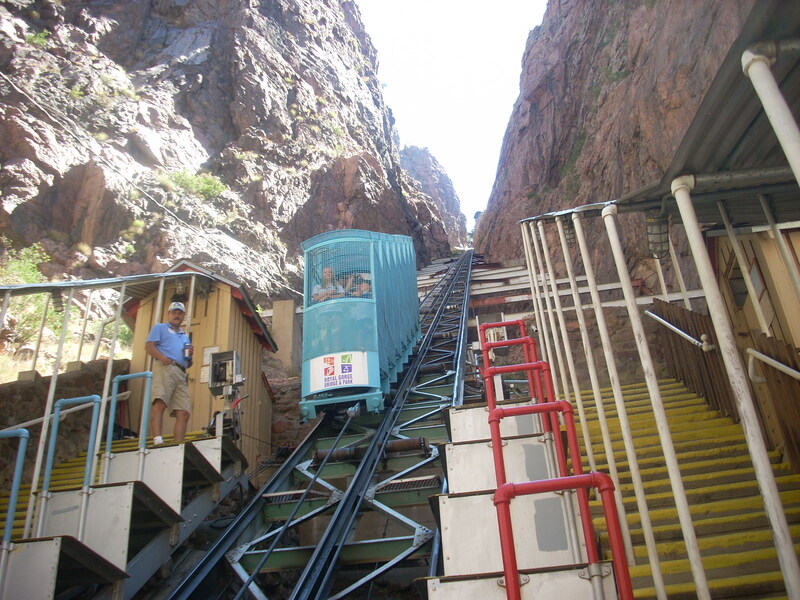 While there we rode the incline down the mountain. It looks a lot more frightening than it is. You are in this cage and go very slowly down and then up the mountain. Keith and the kids also rode the tram across the gorge while I looked around the gift shop. I wish I was not afraid of heights. The kids said the bridge was worse than the tram but I find that hard to believe. 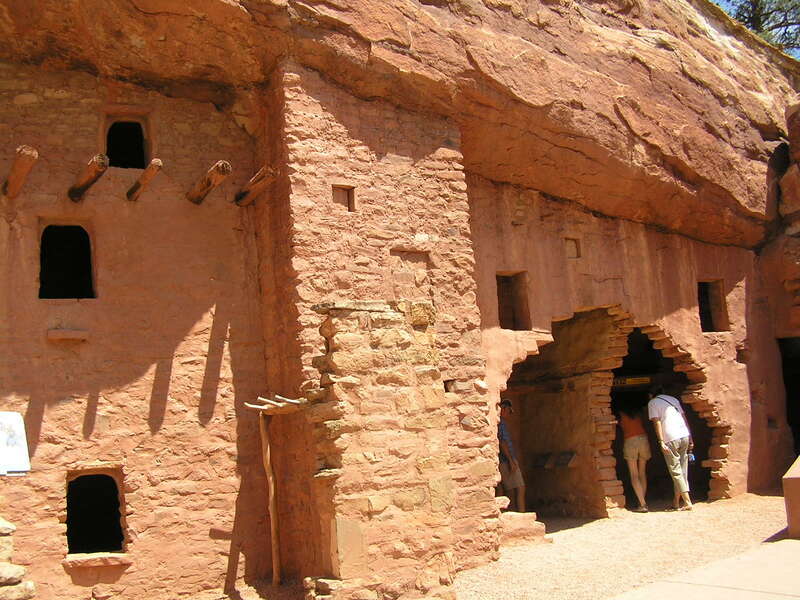 Next we drove to Manitou Springs and visited some cliff dwellings. It was interesting walking inside them (it was also much cooler). I don’t think Keith or the kids really enjoyed this. I watched a couple of the Indian dances and I’m sure they must have been about to pass out as it was very hot that day. 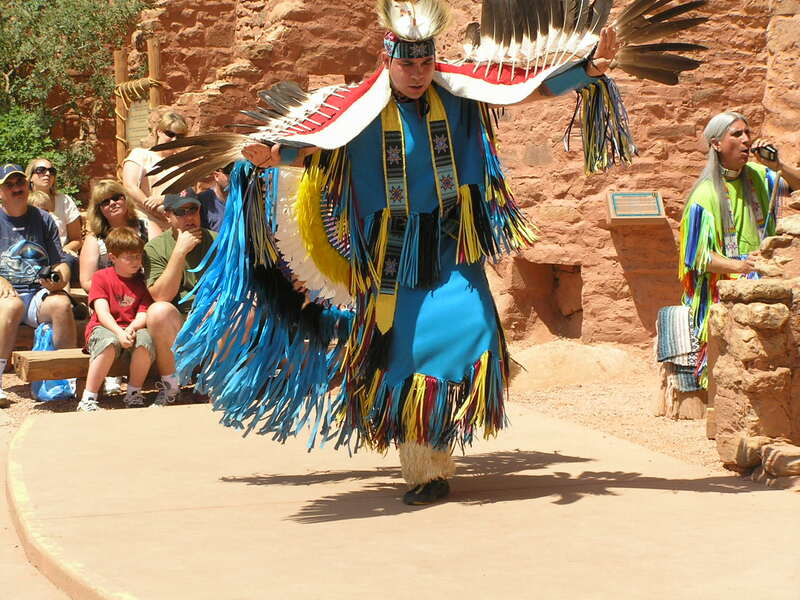 This one is the eagle dance, look at the shadow the gear makes and it looks like a bird in flight. Then we drove on to Breckenridge where we stayed each night during the week. Well we made it to Breckenridge. We were using a Magellan road mate or something like that and some maps I printed up from Google. The maps bailed out the Magellan a couple of time. Cannot trust the Magellan in areas with many cross streets. The roads were wonderful to drive on. Had to slip the Merc into low a couple of times to keep off of the brakes. Someone ahead of me did not know this trick and all you could smell was hot brakes. 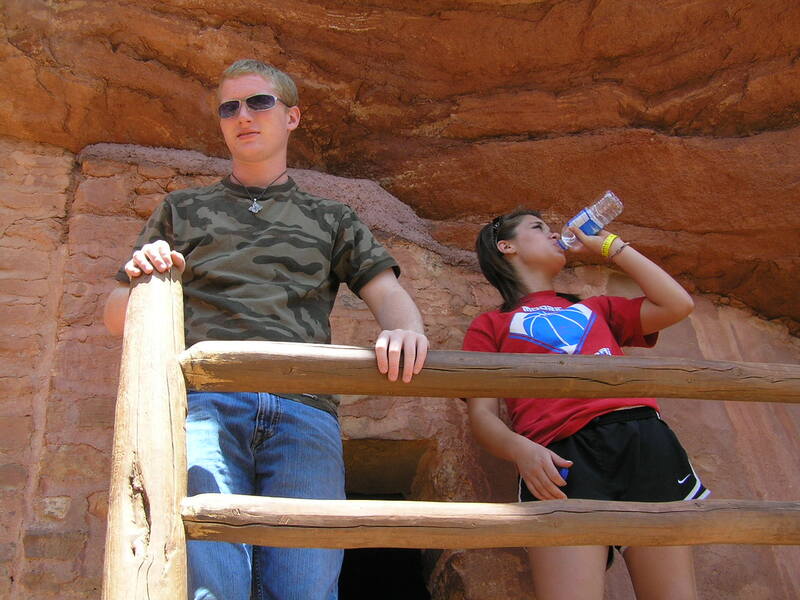 We loved Royal Gorge. They have a watered powered clock… The kids and I hiked across the bridge a couple of times and got some good photos. We rode the incline railroad down into the gorge and got to see some folks shoot the rapids on rafts and kayaks. The incline takes you down to the river, about 1K feet below. It’s on a 45 degree incline. The passenger train stopped while we were there and we got some photos of it as well. Man, when he hit his horn just about everybody jumped! 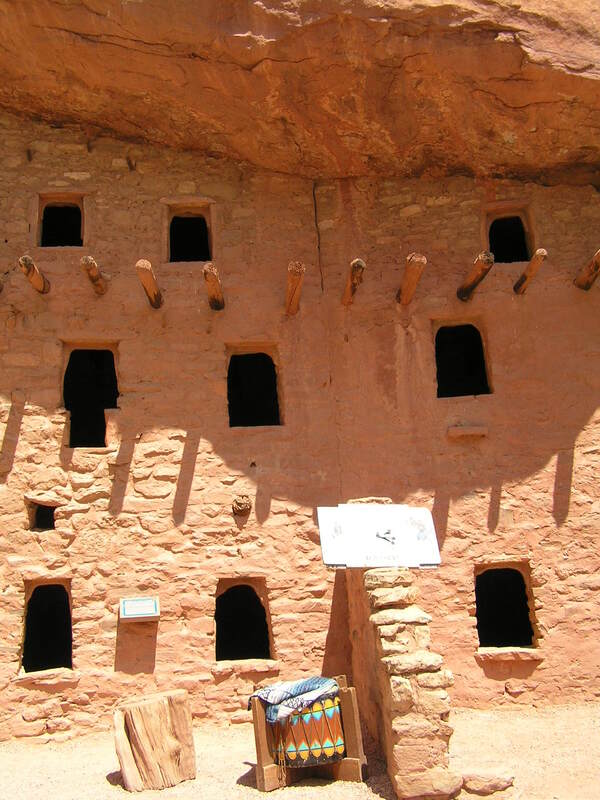 We went to the cliff dwellings near Pueblo. Kind of neat but just a little too restored for me. Also not a lot of history or archeology type stuff. From there we drove on a bit and had another roadside lunch along side the highway. Got into Breckenridge about 6:00 PM and got into our place. Ran down to a local grocery and bought some vittles. Kind of a shock to see chicken breast selling for what a Porterhouse brings back home. First night we cooked some frozen pizza, at least those were more in line price wise with what we are used to. Picked up some Fat Tire ale. Cannot remember who on the boating board talked about it some time back but the name stuck in my mind. I can see why he liked it. Darn good amber ale. There is a nice breeze blowing through the room. There is still snow up on the mountains and the temp here is very pleasant. 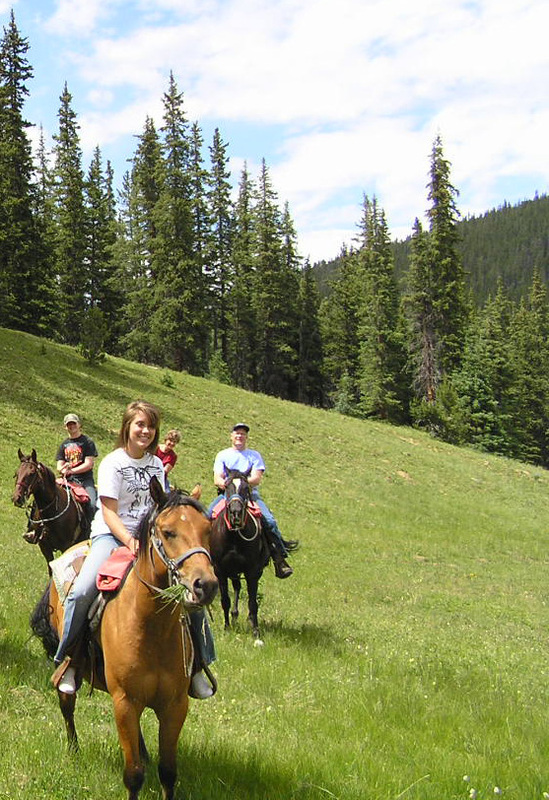 Tomorrow we head into Leadville for some sightseeing and some horseback riding. Ye haw!!! My mom couldn’t make it across the bridge but I faced a fear and did it. It seemed like hours before I got to the other side of the bridge. I could see all the way to the bottom of the gorge through the cracks in the wooden planks! That was just ridiculous! Heights are not a super fear of mine, but this bridge tested me. Once on the other side of the bridge Travis and Dad were ready to go back across. I assumed we were going to ride the airline tram back across…I was wrong. I told both of them that I had to sit down for a bit to collect myself. After about five minutes of sitting I was ready to face the challenge again. I made it back much faster that time. Later that day Travis, Dad, and I went on the airline tram and they were both being very nice and rocking the car. As usual. The scenery was very beautiful and something everyone should experience. I would do it again in a heartbeat! On our third day we drove to Leadville, which is where the famous Tabor Opera House is. At one time this town was a famous place. Colorado has some spectacular views! We went to a National Mining Museum and bought a set of bookends made of polished rock; we toured Baby Doe’s shack at the Matchless Mine (Horace Tabor’s) and got to share our lunch with some chipmunks; then we bought some homemade fudge at a local store. After lunch we drove to Mega Mountain Magic and went on a 3 1/2 hour guided horseback tour up the mountain and back. They took us to the top of the Colorado Rockies with views of Mt Elbert (Colorado’s highest peak) and Mt Massive (Colorado’s largest mountain). We started at 10,000 ft. and went up to 11,800 ft. on Mt. Zion. We did not get off the horses for the entire time and our bodies ached for several days. The scenery was breathtaking in many spots and the horses worked hard getting us up those steep, steep paths. If we would have been walking ourselves I’m not sure we would have made it to the top! When we got to the top, we were above the treeline and it was a spectacular view. I would have loved to have been able to walk around a bit (also to rest my body from the ride) but we had to head back down. The Aspen grow there like crazy and Aspen are not individual trees but one tree that has shoots coming up from its roots all over and is considered a large organism. The dense Aspen areas were quite peaceful looking to me. Our guide told us that the Indians discovered that the white powdery substance on the bark is a great sunscreen. After our horseback riding, our guide recommended a restaurant in town, called Quincy’s, for a good steak and a great price so we had a nice, steak dinner that evening before heading back to Breckenridge. Well, up at the crack of dawn this morning. Cooking up some bacon for omelets. Wife and I both logged in on the free ‘net access. The condo we are at is nicely stocked with cooking tools. The kids went out last night checking out the place. We told them stay together and be respectful of others. They made it back before ten and went on to bed. Amazing how sleeping in a car can make you so worn out. On to Leadville in a bit. Will see if Maggie (our electronic and slightly confused tour guide) and Google will agree on a route. My money is on Google. Well, we just got back from Leadville…what a trip. Very nice town. I like it a bit more than Breckenridge since it’s not striving all that hard for atmosphere. We went to the Mining Museum. That was neat. Bought a big geode stone. Went to the cabin Baby Doe Tabor died in. Quite a rags to riches to rags story there. In the late 1800’s the Tabors spent 15K on christening dresses for their daughters. 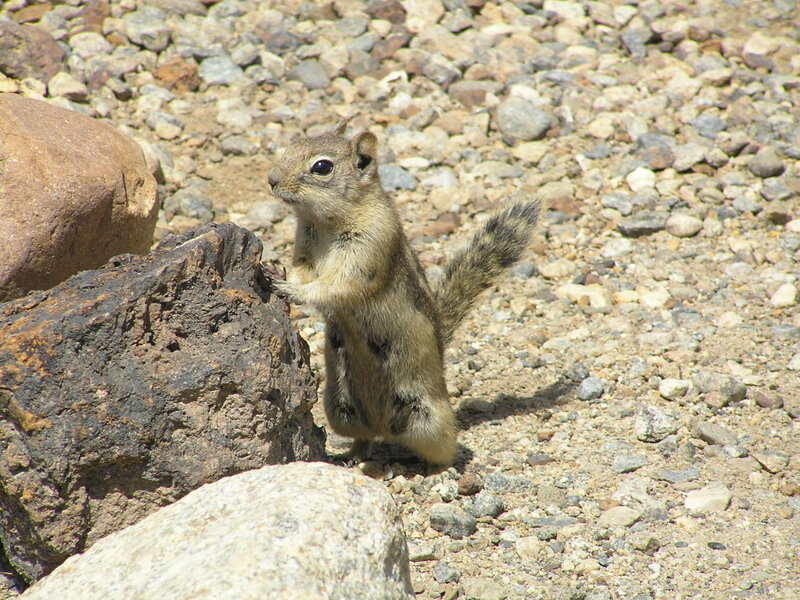 After that we had a picnic lunch and fed the chipmunks some scraps. The next stop was the horse riding stables. We got to the stable fine and were put on our mounts. My daughter has done some horseback lessons so they put her on a more spirited horse. The funny part is she’s the one who winds up in the knee brace from riding horses. My son was apprehensive about riding because a few years ago a horse dropped and tried to roll over on top of him. My son kicked loose of the stirrups and bailed but he could have been crushed by his mount. This horse was much gentler. While my son and wife got gentle mounts, I got one named Little Bit. Name should have been “One who knows where every low branch in Colorado is” but I guess that’s a little long. The horse was pretty bad about rubbing right up against the trees, many of which had stubs on them. The ride was 3.5 hours long. We saw some gorgeous vistas and glens. 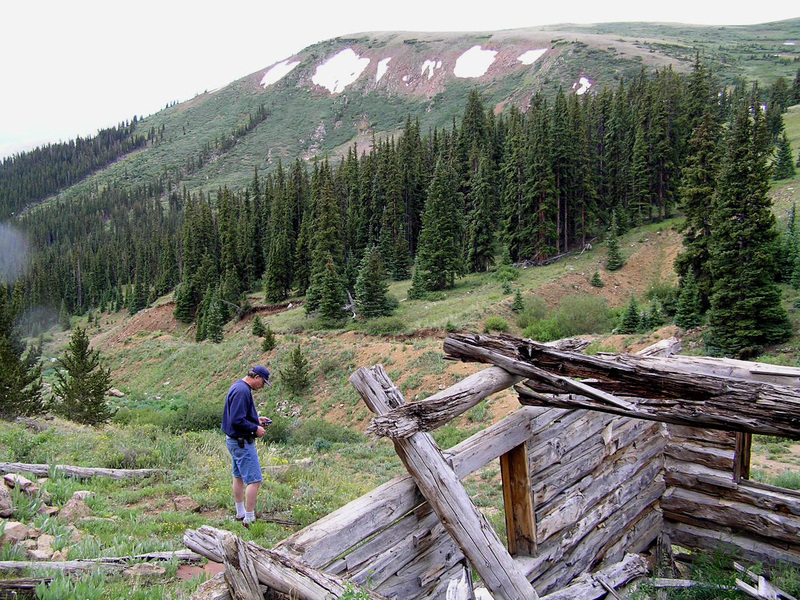 There were several abandoned cabins still left from the gold rush days. Also some mines and exploratory holes. Most of the trail was pretty vertical. Often times we were completely under the canopy of pines and aspens. There were hundreds of tree stumps left from logging. I figured maybe from the ’40’s or 50’s. Come to find out they were from 1880’s. Seems there are no termites up that way and it is so dry most of the time that decomposition takes forever. After we finished our ride we went back to Leadville to eat at Quincy’s Steakhouse. They only do Fillet Mignon’s. You have your choice of sizes but that’s it. The 15 oz one is only about 16 bucks. A really great deal and the steaks were top notch. After that we went back to our rooms. Maggie (the navigation unit) gave us directions back that took us through Frisco for no reason what so ever. We are now back in our room. Kids are racking out for a bit, may go to the spa later. Wife is editing the photos, I may post later. I’m having a Fat Tire. Sure is pretty up here. The Merc made it up Summit Pass ok, the tach never went below 4200 but the temp was ok.
On the way back in some idiot talking on her cell phone pulled out from a stop sign on Highway 9 right in front of us. Got the car shut down but it sure scared us. Well we went horse riding for 3.5 hours. It was long but so worth it! The view was amazing. I got a horse named Speedy, who just ate the whole time. It was crazy. We went all the way up to the top of the mountains. Spectacular veiw of Colorado. On our way back down my horse decided to rub up against a tree and kill my leg. Also during the ride my knee was bent at an odd angle so it was very sore and strained from that. I have horrible knees but now it feels alright. Ate at a pretty good steakhouse. Wish they had chicken but it was still yummy. 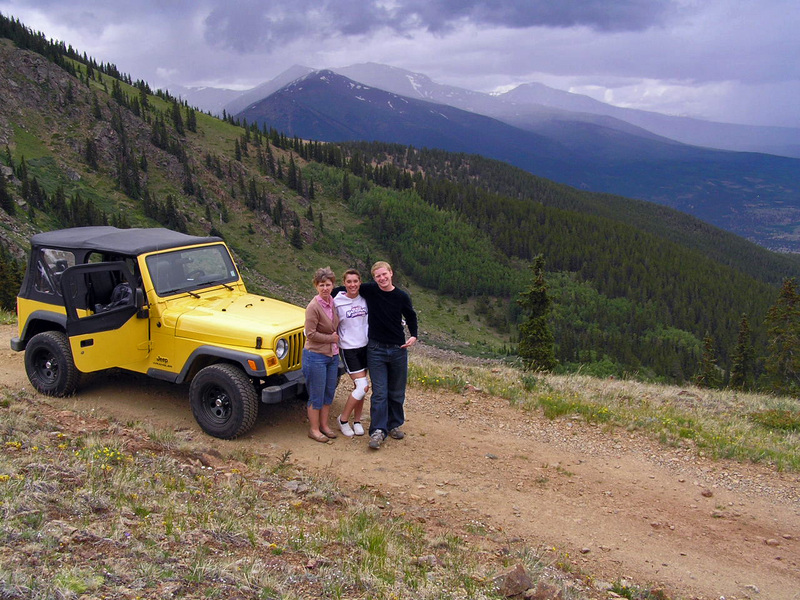 Day 4 began bright and beautiful with the perfect temperature as we drove to get our rental jeep in Buena Vista, CO. We all got in the jeep, which had no windows only a top, and headed up Cottonwood Pass to see the Continental Divide. In the Americas this is the line that divides the flow of water between the Pacific and Atlantic Oceans. Rain or snow that drains on the east side of the Divide flows toward the Atlantic while precipitation on the west side drains and flows toward the Pacific Ocean. The drive was gorgeous and a bit tense for me as I could so clearly see down the side of the mountain. At the top there were school buses and RV’s driving on the dirt roads beyond. We got out and looked around noticing the snow on the ground, it was a bit chilly in shorts! We all got back in the jeep and began driving down the pass on the dirt road. We drove for a good while and realized that where we were headed really didn’t require a jeep so we turned around to go back and take a different path. As we continued on the weather became increasingly cooler and eventually it began to rain. The kids were huddled together in the back trying to stay dry and warm. We finally arrived back at the jeep rental place and Keith asked for the windows to the jeep and we attached them and we were all much more comfortable though it wasn’t quite as “jeep-like” a feel to the ride. We got a map showing us a road to take to Lost Canyon and headed out. We stopped at a beautiful place and ate lunch as it thundered and threatened to rain again. The mosquitoes were thick so we ate as quickly as possible and did not even sit down. The interesting thing about the mosquitoes here is that they didn’t leave big itchy welts on Travis or me. We continued driving the steep, dirt road to the top to see Gold Basin Mine and it got colder and colder. It is mind-boggling to think how people manage to get here with food and big equipment today or a hundred years ago. Finally, at the top, about 12,400 ft, we found that the gold mine was actually for sale with only two men panning for gold. Keith visited with the owners briefly and then we began our drive back down stopping along the way to get better views. We also drove a path that lead us to a ghost town that is in the process of being preserved. By this time the kids were sleepy and not interested in sightseeing anymore so Keith and I walked around but everything was closed up for the day. Keith wanted to keep driving but it was already 6:00 and we were all hungry and cold so we returned the jeep and headed back to Breckenridge. I love museums…any kind. This puts me on the outs with my family. They want to do a museum in 30 minutes or less. I can spend 3-4 hours in a simple museum, no problem. Today we went to Buena Vista and rented a Jeep. The guy renting it to us was very nice and gracious but not entirely organized. 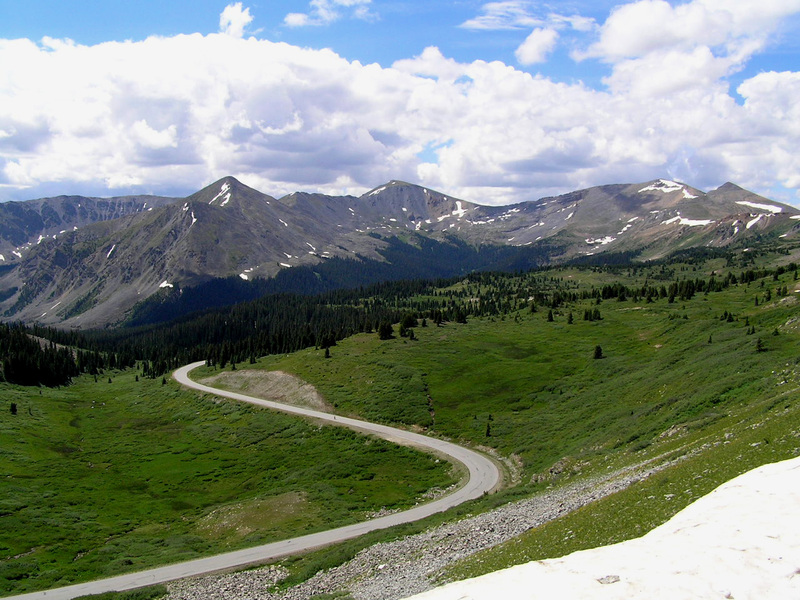 We drove up to Cottonwood Pass, on the Continental Divide. Didn’t need a Jeep for that. Drove down to the other side and went to Taylor Lake. Very pretty. We went back across the divide and drove over to Lost Canyon. On the way up there we stopped off for a picnic at a place the Jeep owner recommended. From a granite outcropping it drops a couple of thousand feet and you had a view of the entire valley for miles in every direction. Very scenic. Sure made a nice accompaniment to the company and the food. We went to a working gold mine near Lost Canyon. When we pulled onto the location we were nearly the only ones there. The mine is for sale. It’s the type of mining, called passer, I think, where the gold is found in the soil, not in veins. I visited with an older woman who was in a Jeep as well. Found out she and her husband were the owners. They had sold the mine two years back but had to foreclose on the buyer. She explained to me the mining operation. They let hobby prospectors work the claim. She and her husband are from Indiana and have a farm up that way. They were getting ready to leave and asked me to lock the gate to the place when we left. We scouted around a bit and then left. We drove up to a couple of abandoned miners’ cabins. Man, the stories they could tell! As we were headed back down the trail we saw a mama beaver and three of her offspring. They each reared back on their haunches and looked at us. One of the little ones barked at us repeatedly. The drive up and back was fun, a little narrow with extreme drop offs but really nothing too bad. I was wanting to do more but the S and D team were bushed so we headed on back to camp. 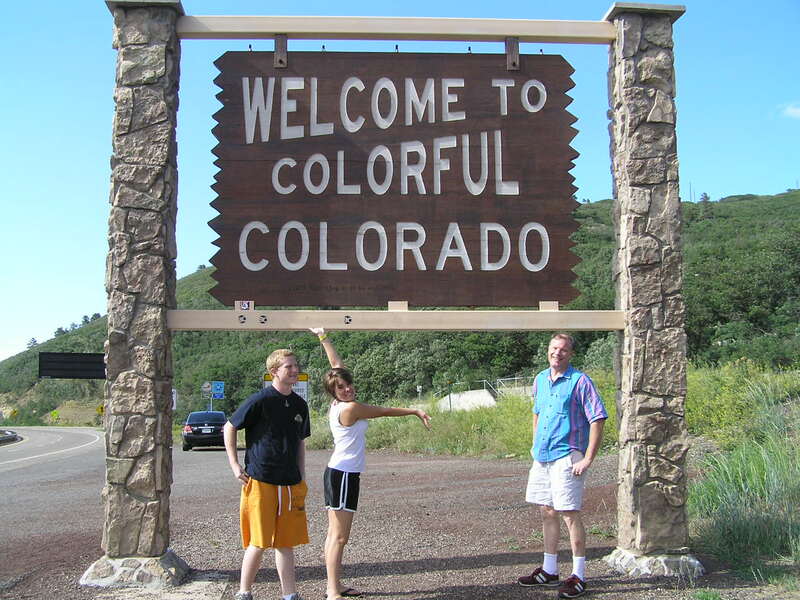 One thing I really like about Colorado is the folks here really seem to take pride in their state. We have seen almost no litter. The vacant camp sites we saw were clean. Well, got to get some dinner and then sit down with a good book to relax with. The jeeping was my least favorite. Granted it was very pretty in some places, but it was very boring for Travis and I. Also it rained and was cold. My favorite part was when we stopped for lunch. 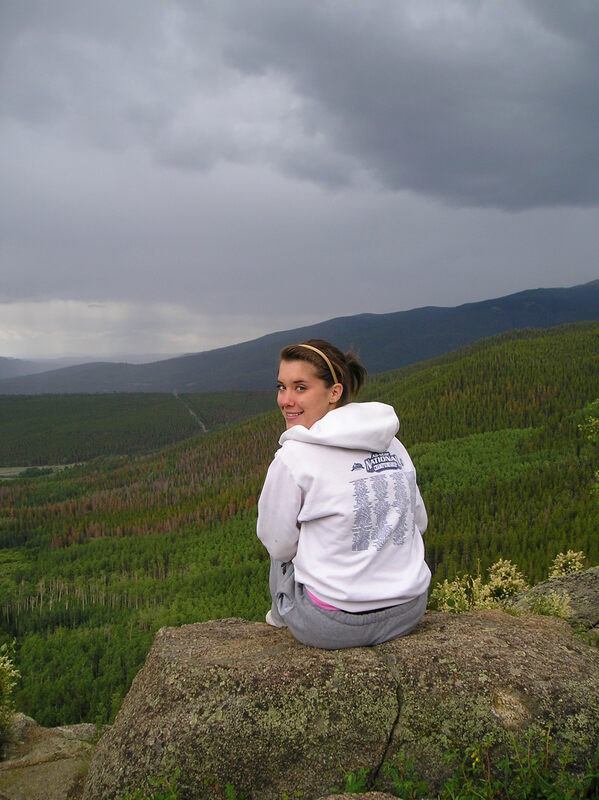 We were on the top of the mountain and had the gorgeous view of Colorado. I wish I could see that everyday. It was insane! Day 5 we stayed in Breckenridge and each of us did what we wanted to do. Keith played with his new GPS and walked around town finding various cache locations as well as visited the local fire department. Travis went to the gym and sauna while Kelsey and I went shopping in the quaint downtown. I purchased a christmas ornament, t-shirts and a sweatshirt. We all went out to eat dinner and had a quiet evening in our condo. 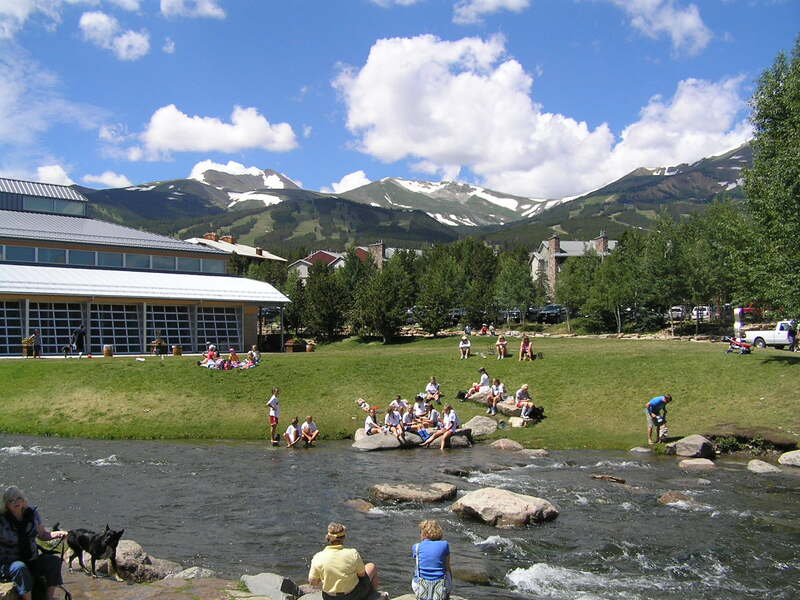 Breckenridge is a very pretty town and on this day the weather was perfect. I planned this day as an off day. Daughter wants to go shopping with wife. I will use the GPS to do some Geocaching. Wife is editing the photos we have taken. Well, I took a walking tour of Breckenridge today. Must say that now that I have walked the town I like it a lot more. Found two geocaches, the Garmin eTrex walked me right up to them. I stopped by Breckenridge Brewery and had an Oatmeal Stout and a burger. Bartender told me it was happy hour and I didn’t look happy enough. Ordered an English Pale Ale. My thanks to TEG and his countrymen for this fine addition to our cuisine. Walked on down to the firehouse museum. You go next door to the fire station and a fireman will give you the tour. Angelo was my tour guide. After a bit the squad was alerted and he left. Walked over to the Barney L. Ford Museum. Barney was a ex-slave who became a successful business man. He twice fought statehood for Colorado until the statehood movement put language into the state constitution granting blacks voting rights. As a child he only had his first name. I also walked over to a monument to the U.S Army Tenth Mountain Division. My wife had a great uncle who recently passed away. He was an officer when the Tenth just started up. He was selected for this unit due to his background of having worked with farm animals and having learned how to snow ski. He had lots of funny stories about the US Army coming to terms with the Norwegian instructors. Seems the instructors were not too thrilled with the Army’s choice of OD Green as a uniform. He later fought at the Apennine Mountains in Italy. After the war he was a member of the Army of Occupation in Japan. He had a lot of stories, some funny, some not. Finally wandered back up to my room where I picked a fight with the kids who were watching TV instead of being outside. The Admiral/Navigator has informed me we are headed back Saturday with a stop in Wilson, KS to partake in a Czechoslovakian (thank you Mr. Spellcheck..) festival. Sounds like fun to me. We will spend the afternoon at the festival and leave the next morning for home. One day while in Colorado we just walked around and went shopping. That was fun. We went to Rasta Pasta for dinner. They had amazing pasta. Mine was the best one out of everyones. While we were there they had an electrical fire so it smelled gross, but still good food. Afterwards we went the The Rocky Mountain Chocolate Factory. We bought some yummy goodies there! I love chocolate so that made my day ten million times better! We went whitewater rafting with Performance Tours down Brown’s Canyon on day 6 and it was so much fun. We did the all day trip, which included lunch. We all wore wet suits and never got too hot. The water level was great so we enjoyed up to level 4 rafting. I think the photos say it all — it was great fun! 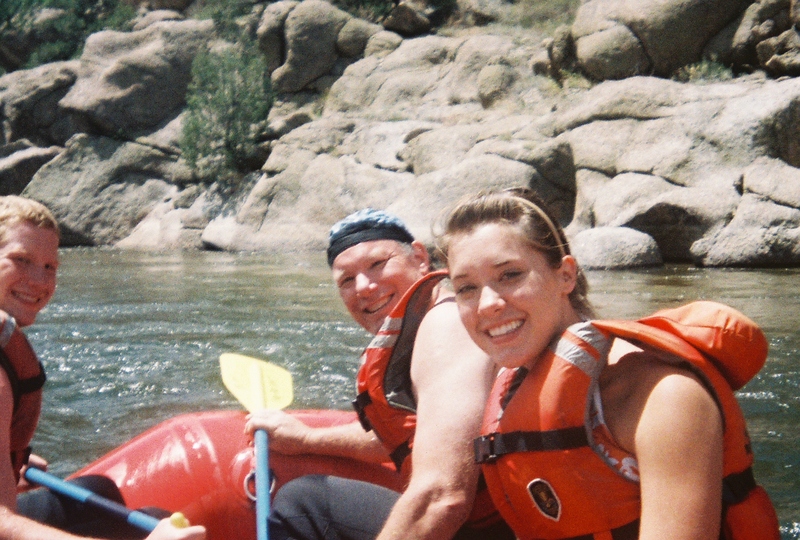 The kids have told us that every vacation should have whitewater rafting in it. If we were to plan this trip again, we’d have 2 days of whitewater rafting with increasing difficulty. On our drive home it began pouring down rain and we were so thankful that we had had a beautiful day while on the water. Friday was our last full day in Colorado. We went back to Buena Vista and did a raft trip. A full day one with lunch down Brown’s Canyon. This by far was the best day of the trip. We were in a group of four rafts but our raft was a smaller one with just my family on it. The guide says smaller is better. Brown’s Canyon is mostly class II and III rapids but one section is IV. Our guide would call out if we were to paddle forward or backwards and how much. We were able to easily follow his commands. Since he felt we could follow directions pretty well he took us right through the middle of several of the rapids. We got tossed around a bit but no one fell out. At one point my S and D team bailed out over the sides and hung onto the ropes. Daughter got a bit of a scare when the raft started to pass over her. We stopped for a lunch of sandwiches along side the river. Nice scenic area where we could watch the other rafters. The guide suggested that next time we raft we go on a section of a river called “Numbers”. It’s almost all class IV. If we had done this adventure earlier we would have canceled the Jeep or horse ride to do the rafting twice. The water was fast, clear and cold. The scenery was dramatic and colorful. White water rafting was the absolute best thing I have ever done in my life..EVER! That’s it end of story. On our 6th day we got up very early to drive home. We drove through Kansas to get home and our plan was to go to the annual Czech festival in the small town of Wilson. I made reservations in a nearby hotel but as we were driving home, the hotel was not very close and it was raining so we decided to cancel our reservations. By the time we got to Wilson it was a beautiful day so we decided to go to the Czech festival. When we arrived it was unbelievably small but we got out and spent the 10 minutes it took to see the festival. Since we were finished so early in the day we calculated that we could drive straight home and be back before 9:00 so we drove all the way home. Kelsey watched a movie on the way home and made several videos telling how bored she was. Travis listened to his iPod and slept much of the way home. Keith and I listened to an audiobook. It was a very long ride. 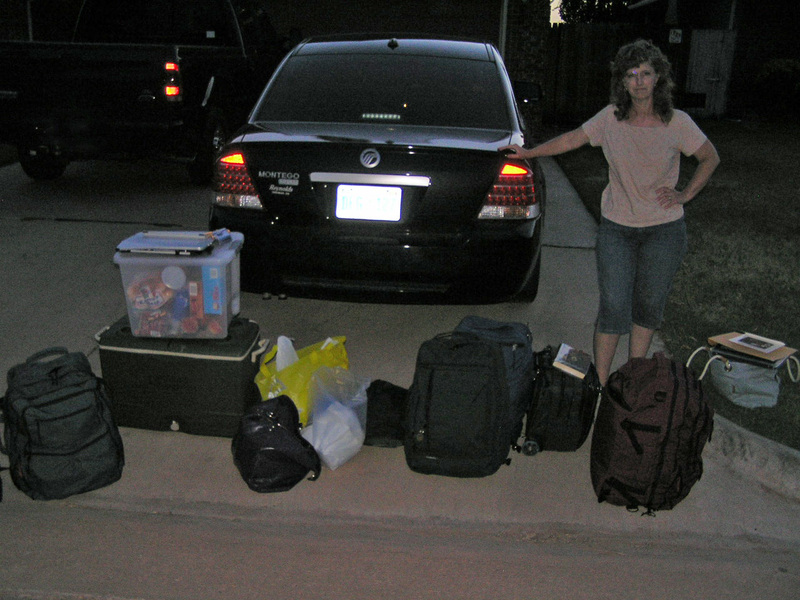 After we unloaded everything from the car, Keith took a photo showing how much stuff the trunk of this car easily holds, that is we still had some room. Going on vacation is wonderful and coming is home is wonderful! It was nice to pull up in our drive. Our neighbor was watering our plants for us with her kids, they were soaked from it. I’d never been to Colorado. Each vacation we try to take the kids to another part of the country. New England maybe next year. Colorado is the one place that all of us agree we would do again in an instant. We could have skipped the horses no problem, would have done the rafting twice. I wish the kids had had more patience for the Jeep tour. 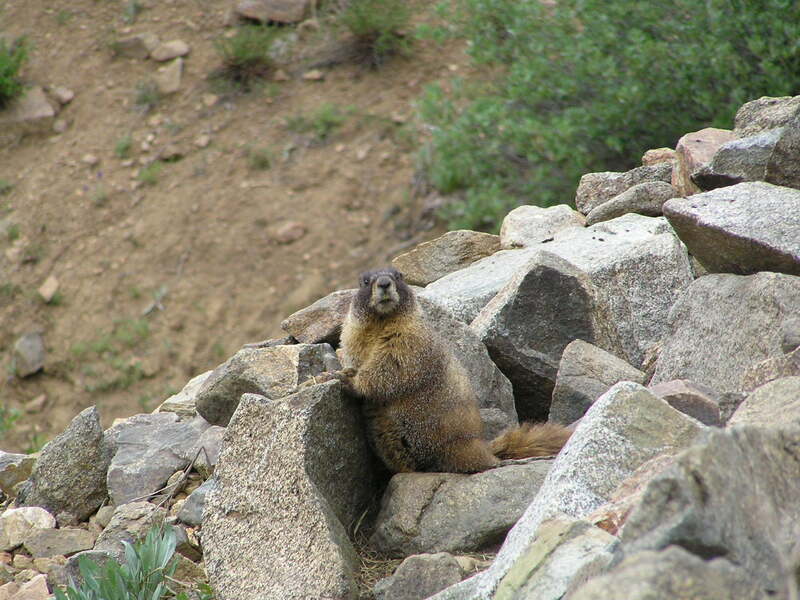 Colorado was beautiful and very clean…seems no one litters or everybody picks up a lot. Kansas was boring and flat. Kind of like Oklahoma. The festival was a blow out and very lame. Travis and I got a laugh out of it. 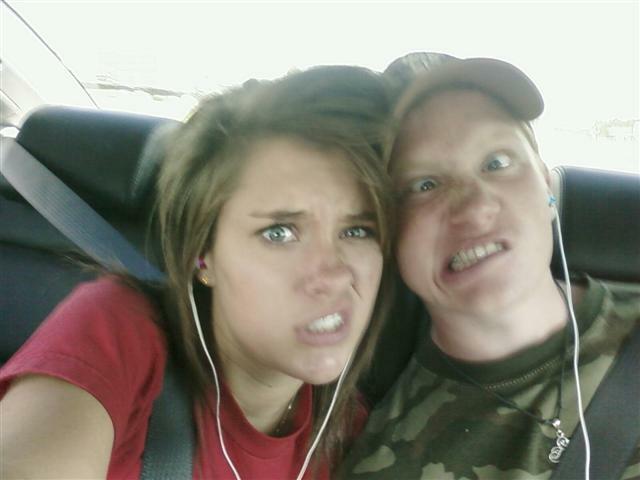 Basically the whole trip back I just made funny videos with my phone and that was it. Once we got home it was like heaven! For the full slideshow of our photos and videos click here.